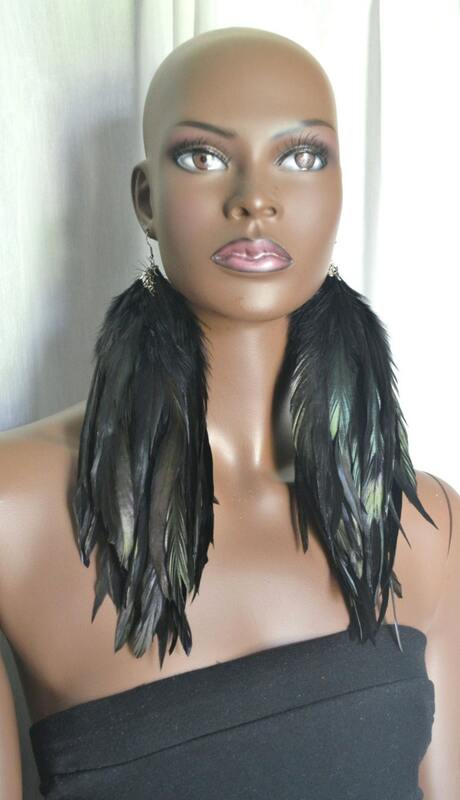 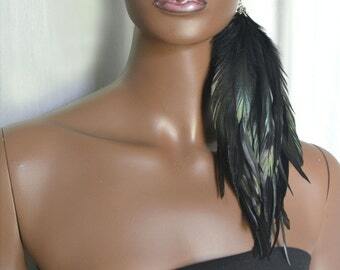 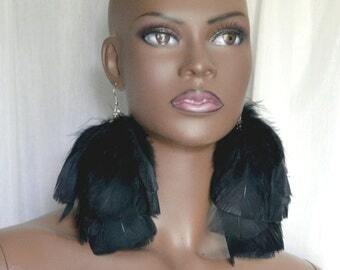 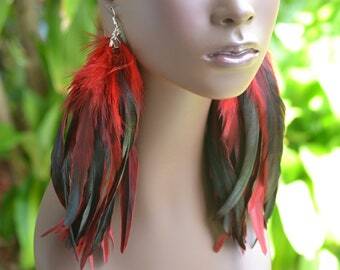 Long black feather earrings are made with iridescent black feathers and chain. 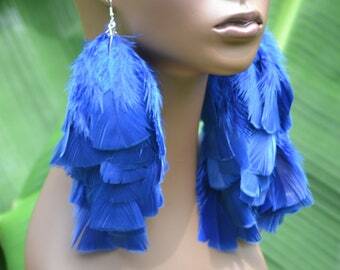 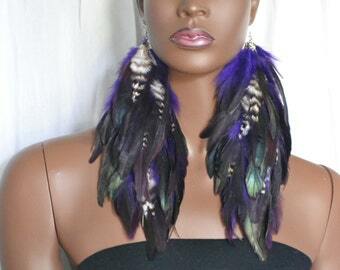 Earrings are very full and made with quality feathers. 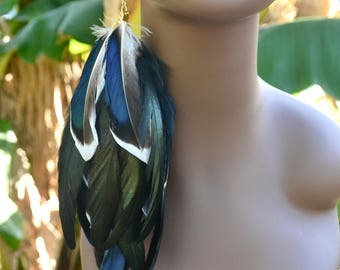 Earrings are about 11 inches in length. 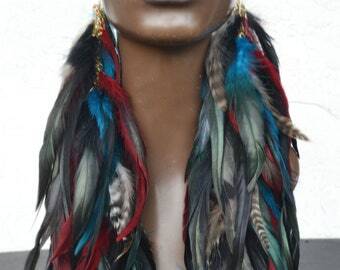 You can choose either silver or gold chains.